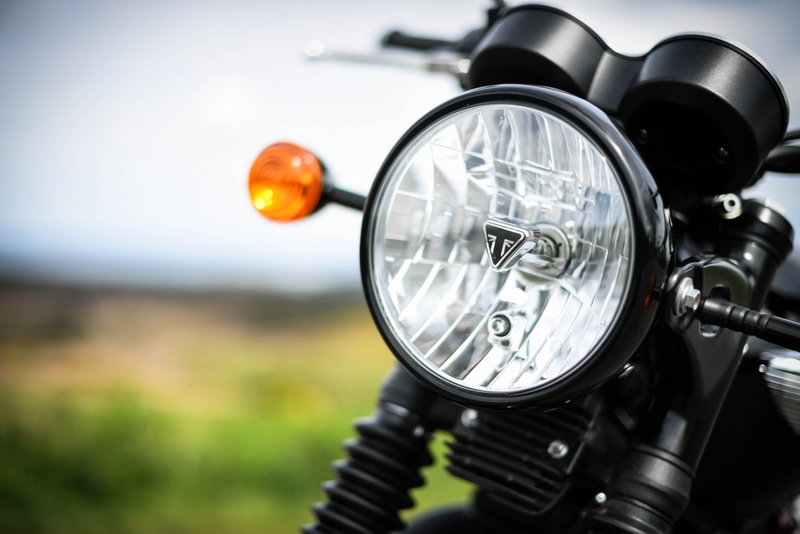 The Triumph Bonneville rivals the Ford Mustang when it comes to dominating the world of popular culture. Whether it’s Bob Dylan declaring his love for the model or an iconic image of Paul Newman cruising on his chosen set of wheels, the humble ‘Bonny’ will forever remain a fixture in the Cool Bible. However, despite the unwavering levels of style, there aren’t many models that can survive almost sixty years on this planet and remain just as desirable today as they were when they were originally released. But the latest batch of Bonnevilles is proof that classic lines rarely go out of fashion. 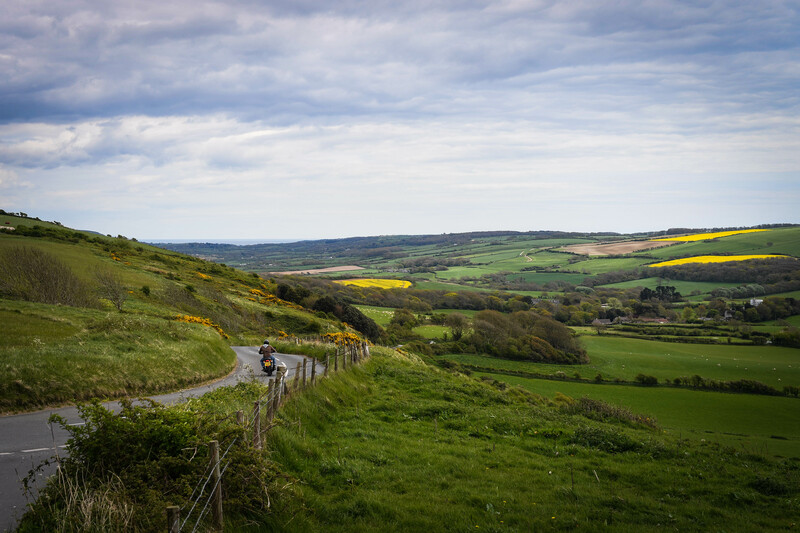 The new T100 range, as tested here, has been designed to appeal to as broad an audience as possible, with a bespoke and lightweight chassis, a shorter wheelbase, lower seat height (it’s a mere 790mm) and softer suspension helping those new to biking make the two-wheeled transition. 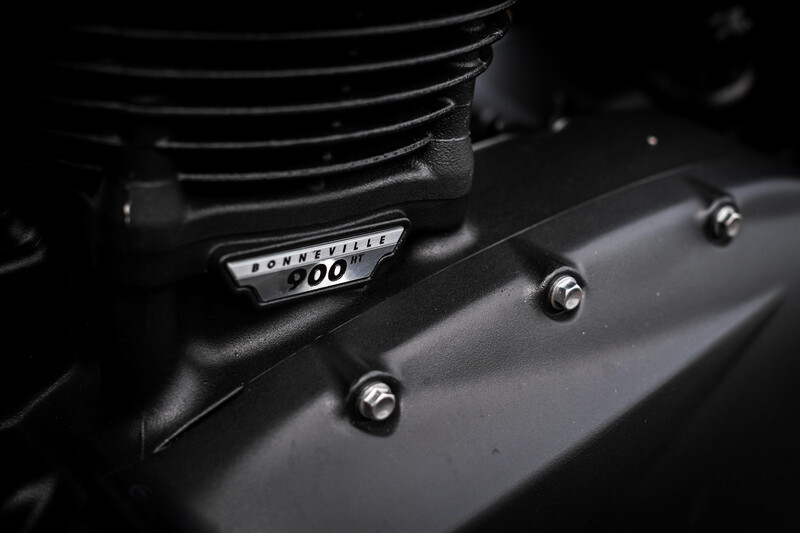 It certainly seemed compact when it first rolled off the back of a van – and that’s coming from a vertically-challenged man – but its muscular 900cc engine, all-black paint finish and twin pipes add an aggressive element to ensure it never looks weedy. In fact, this downsizing of the T120 model really suits the overall aesthetic of this machine. 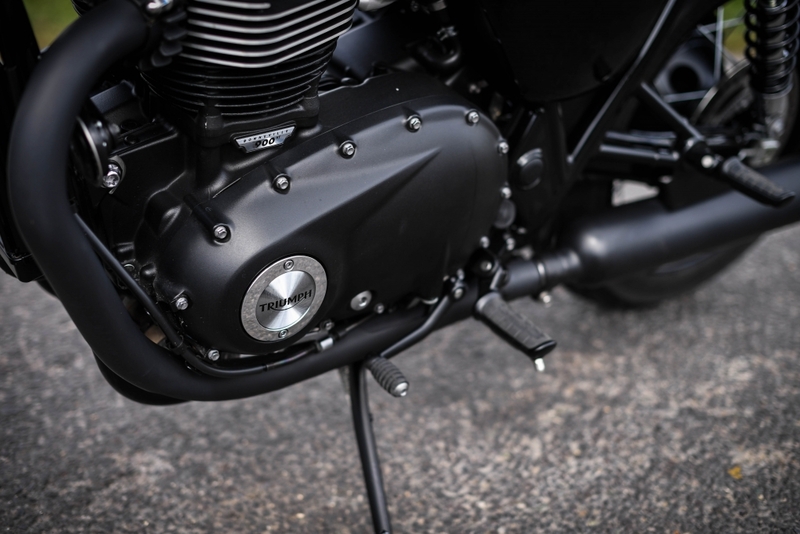 It appears more purposeful and athletic thanks to the lower ride height, while the parallel-twin block positively fills bespoke the frame and the frosted black finish looks suitably menacing. 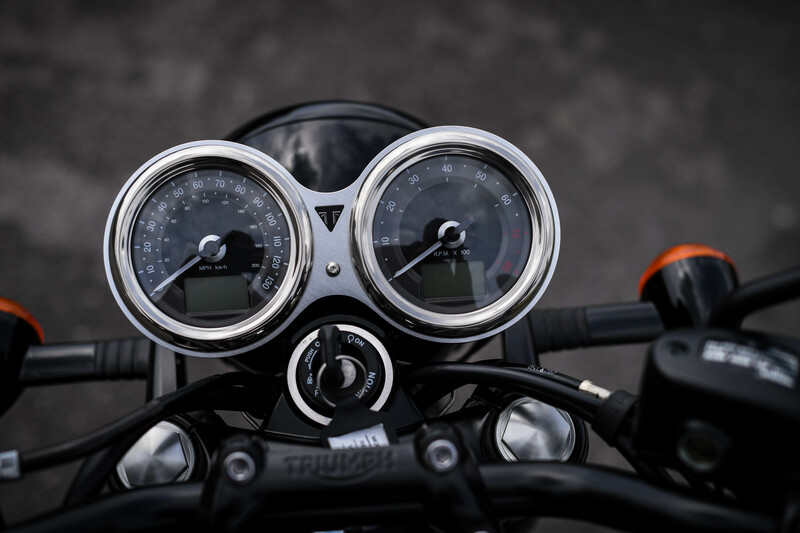 Pull in the wonderfully light and precise clutch lever, thumb the bright red starter switch and that beefy powerplant kicks into life before settling into a familiar Triumph idle. 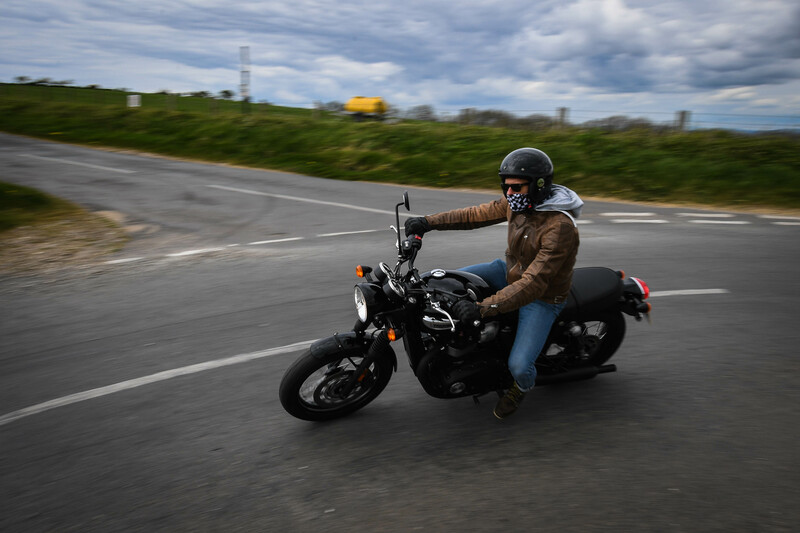 It’s not loud, by any stretch of the imagination, but the patter emanating from the pipes when the throttle is wound on is pleasing, to say the least. 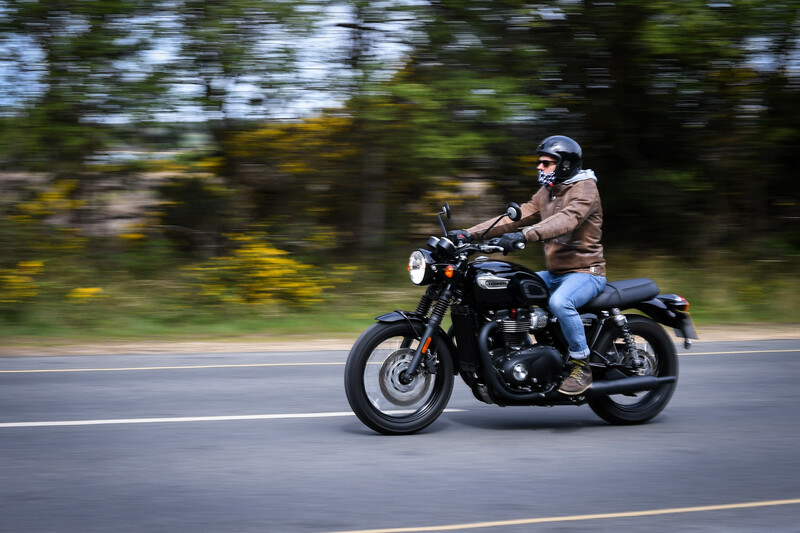 More agreeable still is the fact that the T100 Black uses Triumph’s latest ride-by-wire throttle system, which gives a more linear response from the right wrist. There’s also a torque-assist clutch, which helps with the business of pulling away from a standstill. 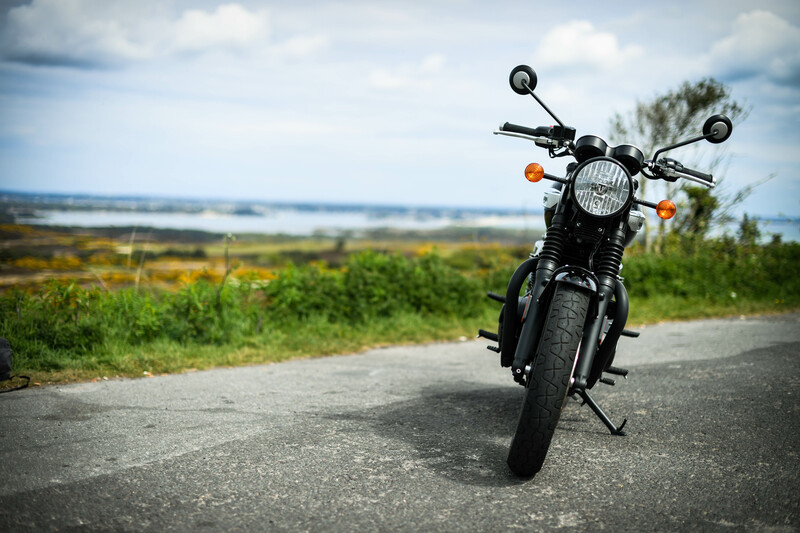 Admittedly, I spend far too much of my life riding (and fixing) bikes of a certain vintage, meaning the transition onto a modern Bonneville was welcome. There’s something to be said for a machine that fires up at the first attempt, pulls away without complaint and actually stops – thanks to proper twin disc brakes and ABS – yet still oozes plenty of retro charm that starts conversation. A deeper exploration of the bike revealed a USB slot under the seat for charging smartphones and other devices. Mind. Blown. 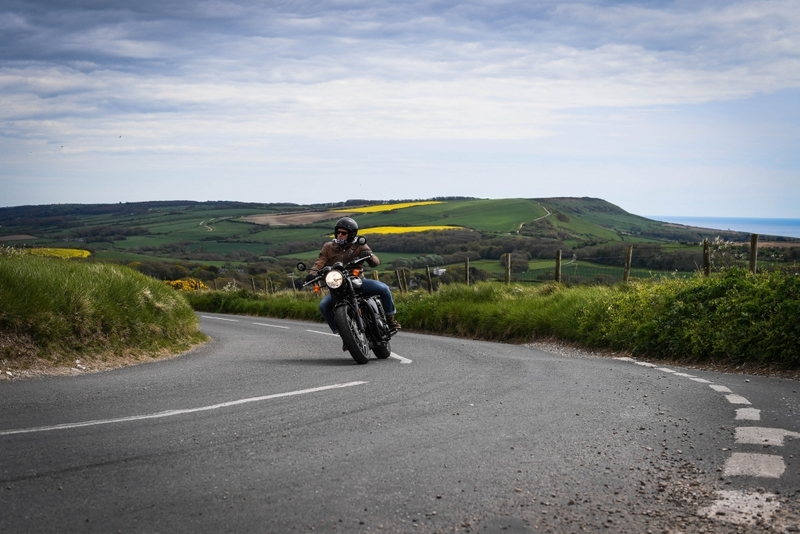 Hit the open road and it soon becomes apparent that there’s plenty of pull from that refined 900cc powerplant to deal with inner-city hops and back-road blasts. 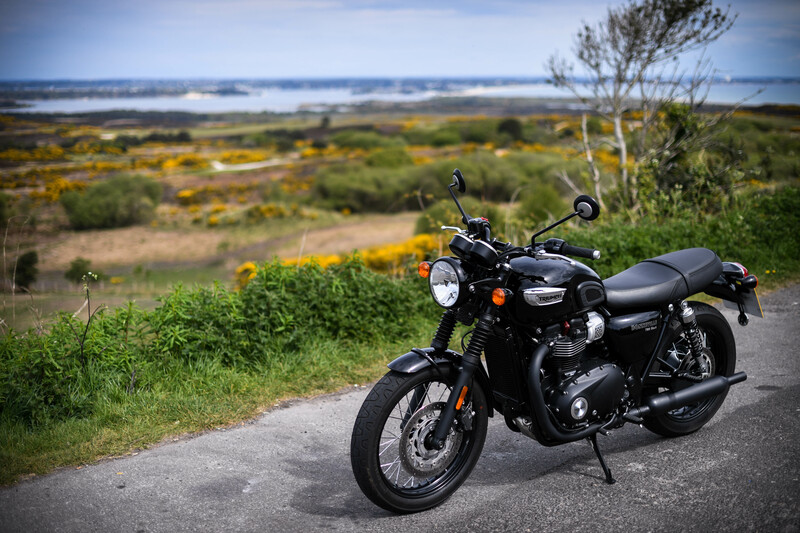 Admittedly, the exposed riding style and five-speed gearbox make longer motorway journeys a bit of a drag but that’s not what the Bonneville is about. It’s a stripped-back classic that enjoys a more leisurely pace. 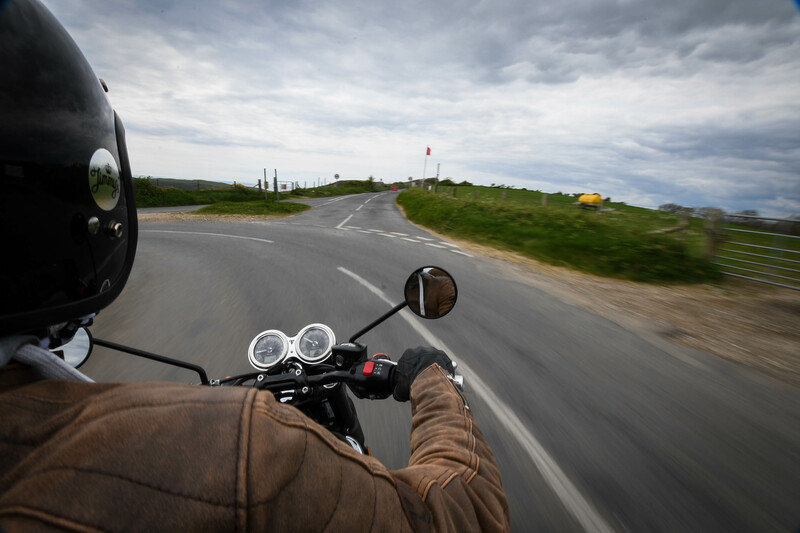 But the relatively lightweight frame and low centre of gravity provide plenty of grins when the road twists and turns, with the rider encouraged to use the glut of low-down torque in order to drag the machine out of corners. The retro-modern clocks are easy to read, while the digital dials deal with everything from an odometer to the time of day. One read-out that caught my eye was the fuel efficiency figure, which rarely budged from the 60mpg mark, no matter how aggressive I was with the throttle. Triumph claims this is down to the liquid cooling system, which is said to improve fuel economy by 29 per cent compared to older air-cooled models. Yes, it is expensive but it’s also an extremely handsome and ludicrously slick machine, and one that we expect to prove popular on these shores. Particularly because the T100 models can be specified with an A2 licence kit, allowing those who don’t yet own a full motorcycle licence to live out their golden-era Hollywood fantasies. Clothing by: Furygan, Revit, Bell, Sorted Surf Shop. Refreshments served by Jimmy’s. KYCU.